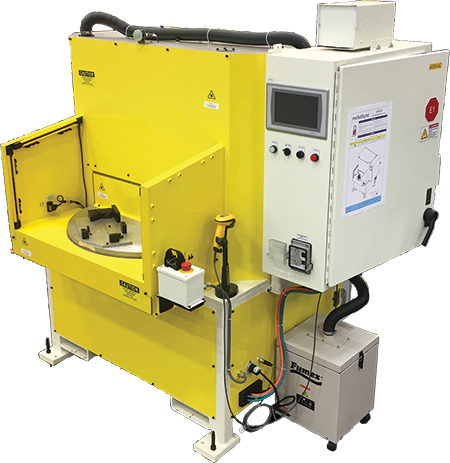 Multi-position, servo-rotary-index laser-marking machines from Coldwater Machine Co. allow operators to load/unload completed parts while other parts are being marked. A single-swipe cycle-start function, with integrated safety light curtains during indexing, ensures operator protection. And, all laser components and controls are self-contained in a durable Class 1 enclosure. Use the machines as stand-alone cells or integrate them into existing manufacturing processes to work with robots, conveyors and inspection stations. They accommodate a variety of laser markers, and custom fixtures can be engineered for any part-marking application.